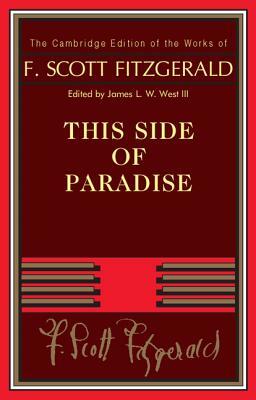 F. Scott Fitzgerald's This Side of Paradise is the opening statement of his literary career. Published originally in 1920, the novel captures the rhythm and feel of the gaudy decade that was to follow in America. This Side of Paradise made Fitzgerald simultaneously famous and infamous: famous for the stylish exuberance of his writing and infamous for the errors--in spelling, fact, grammar, and chronology--that peppered his text. This new edition, prepared with the most recent techniques of modern scholarly editing, brings into being an accurate, fully annotated text based on Fitzgerald's original manuscript.